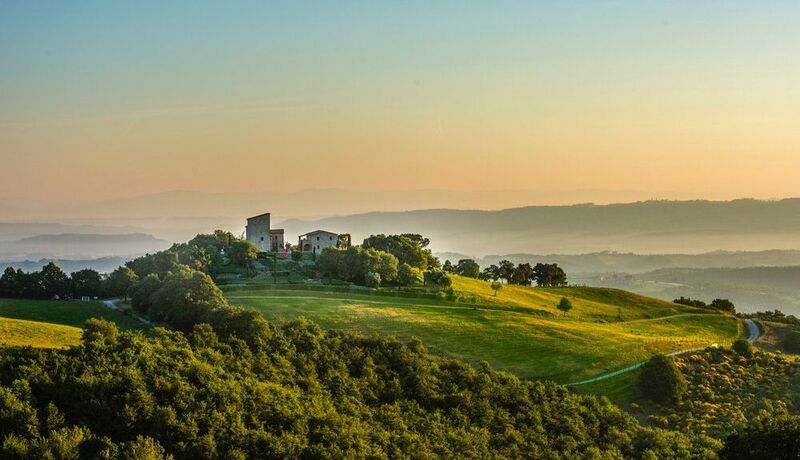 Learn about the unique charm of Fabro with a stay in a private vacation home. This welcoming city allures visitors with its local tours and restaurants. Duomo di Orvieto and Tenuta Valdipiatta are just a couple of the must-sees in the area. With a vacation rental, you get a home away from home—many rentals offer full kitchens and outdoor grills for some home cooking. The nearest airport is in Perugia (PEG-Sant Egidio), located 29.7 mi (47.8 km) from the city center. If you're traveling by train, you can make your way to Fabro-Ficulle Station. Where to stay around Fabro? Our 2019 property listings offer a large selection of 1,056 vacation rentals near Fabro. From 169 Houses to 335 Condos/Apartments, find a unique house rental for you to enjoy a memorable stay with your family and friends. The best places to stay near Fabro for a holiday or a weekend are on HomeAway. Can I rent Houses in Fabro? Can I find a vacation rental with pool in Fabro? Yes, you can select your preferred vacation rental with pool among our 745 vacation rentals with pool available in Fabro. Please use our search bar to access the selection of vacation rentals available.